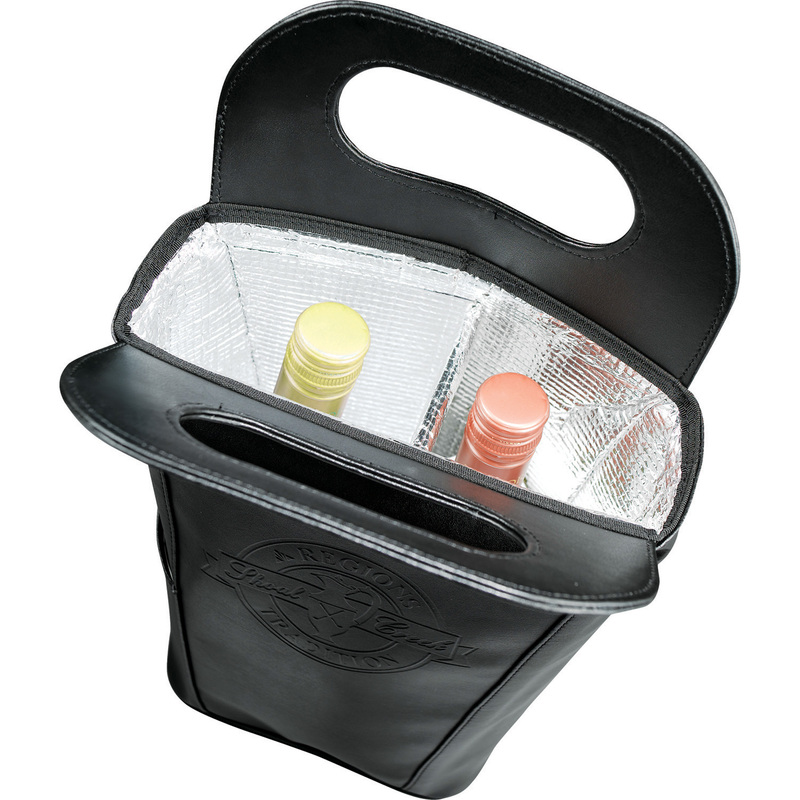 Fully insulated Vinyl tote keeps two bottles cold. 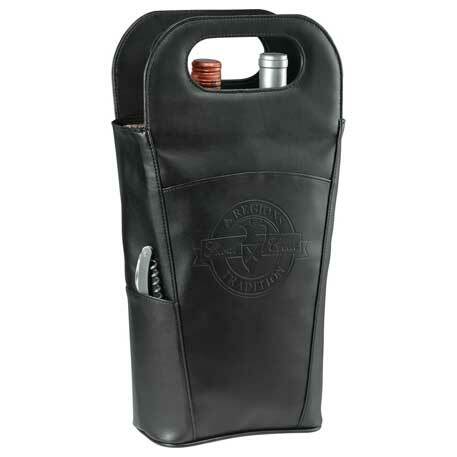 Side pocket includes stainless steel waiter corkscrew. Deep front pocket designed for additional storage.